HoC Solutions the ‘Home of Crypto’ recently recognized among the top ICO consulting agencies at GoodFirms. HoC Solutions is a power-packed Blockchain Development Company that helps various startups, mid-size, and well-established enterprises in fulfilling their business dreams. With a global presence, the agency serves excellent Blockchain solutions to various international clients belonging from diverse industries. These industries include banking, logistics, retail, SMM metrics, and tourism. The firm has a bunch of tech-wizards who are experts in purveying services like Blockchain app development, cryptocurrency exchange development, ICO development, server support, and Big Data services. Apart from this, the agency also masters in UI-UX designing, third-party integrations with legacy apps, and maintaining & managing the hybrid cloud environments. Recently, GoodFirms, which is a prominent B2B research agency, evaluated the services of HoC Solutions. The researchers concluded that HoC is a highly proficient agency that offers startling Blockchain apps. GoodFirms is a platform, which evaluates various IT companies as per their service performances. GoodFirms is a platform, which evaluates various IT companies as per their service performances. For actualizing the assessment process, there are three pre-defined set of parameters – Quality, Reliability, and Ability. Every service provider listed on GoodFirms undergoes this valuation process, and the researchers provide rankings and scores as per their capabilities. Similarly, GoodFirms assessed HoC Solutions, and after thorough evaluation, the reviewers acclaim the agency as a reliable service partner for service seekers. The ICO consulting solutions of HoC helps their clients in establishing various successful communication channels. The team at the agency is highly skillful in Blockchain solutions, and thus, they have a unique strength of executing commendable ICO outputs. Apart from their excellence in ICO, they have a stronghold in digital marketing that is among the spines of thriving ICO projects. Moreover, they also help their clients in creating and maintaining the landing pages for ICO that can pull in traffic from social media platforms. This combination gives their clients an added competitive advantage that results in bringing the best upshots. 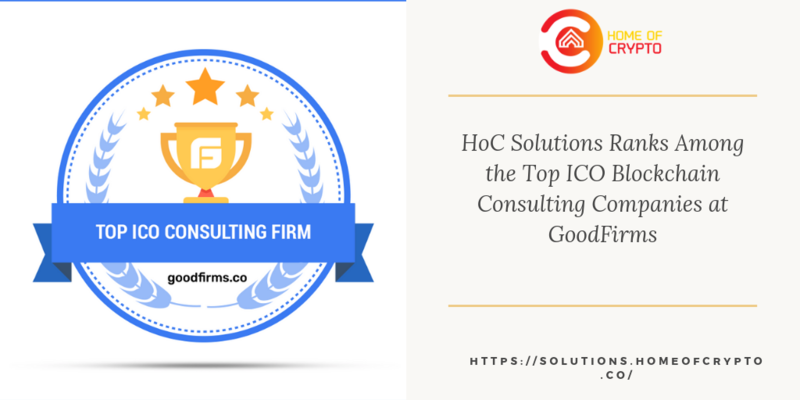 By outlaying such out of the box services, HoC Solutions earns a praiseworthy position in the GoodFirms’ list of top ICO consulting companies. HoC Solutions offers smart Blockchain enterprise level development for the clients who desire their own customized and unique blockchain solutions. The agency tends to become the support partners for its clienteles and take care of the maintenance part for multiple service offerings. Apart from this, their crypto coins are docile with the latest GDPR guidelines and SOX. Moreover, it gives clients the function for using digital wallets for making crypto coin transactions. Their team also proactively concentrates upon the branding part of clients’ Blockchain solutions. Hence, such worthy operations show that the company is swiftly moving towards earning the foremost position among the category of best Blockchain technology companies at GoodFirms. The data analyzers of HoC have taken the company on the next level by completely satisfying their clients. They perceive themselves as the key players who easily determine the relationships between complex data variables and resolve the business- problems of clients. Their advance data science services include data modeling, consultation, migration, integration, deployment, and maintenance. They are the problem solvers for those companies who require real-time data management and analytics because clients rely on the team’s analytical skills. Apart from practicing the professional outlook, the agency has a stronghold in modern data science tools like SAP PA, Scala, Hadoop, Google Machine Learning, Amazon machine learning, Microsoft Azure Machine Learning, and TensorFlow. Such a remarkable combination of technology and skills makes HoC Solutions a splendid player on the list of top data science companies at GoodFirms. Washington, D.C. based GoodFirms is a maverick B2B research and reviews firm that aligns its efforts in finding the top Blockchain and Big Data service providers delivering unparalleled services to its clients. GoodFirms’ extensive research process ranks the companies, boosts their online reputation and helps service seekers pick the right technology partner that meets their business needs. 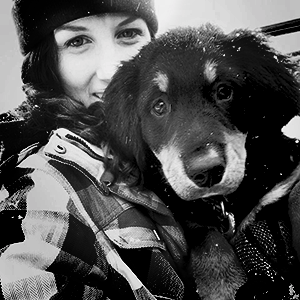 Anna Stark is presently working as a Content Writer with GoodFirms – Washington D.C. based B2B Research Company, which bridges the gap between service seekers and service providers. Anna’s current role lingers her to shape every company’s performance and key attributes into words. She firmly believes in the magic of words and equips new strategies that work, always in with ideas, something new to carve, and something original to decorate the firm’s identity. Launch your ICO and Rule the Cryptocurrency Industry like a King! How much does it cost to build a cryptocurrency exchange software? What is the role of the blockchain technology in the future? We are based in the USA and providing solutions to a worldwide clientele through a technologically-equipped and well-connected office. You can reach us 24×7. Although we believe in hard work and fun at the same time, one or the other member of our team is constantly available for your projects. © 2018 HoC Solutions. All rights reserved.